Three former presidents of Bulgaria have criticized recent moves to oppose setting a start date for EU accession negotiations with FYROM. The three ex-Presidents made their criticisms known following Tuesday's decision of the European Council for General Affairs. This adopted a Bulgarian proposal tabled by Foreign Minister Nikolay Mladenov, delaying giving a start date for talks with FYROM. The decision is expected to be confirmed by the European Council meeting in Brussels. Bulgaria's move has been backed by the current President, Rosen Plevneliev, and by the Prime Minister, Boyko Borisov, who have expressed concerns about the rights of ethnic Bulgarians in FYROM and over what they see as a anti-Bulgarian rhetoric in Skopje. However, Zhelyu Zhelev, Petar Stoyanov, and Georgi Parvanov all expressed disapproval of the move. What makes this more significant is that all three hold different political views, with Zhelev and Stoyanov coming from the rightist Union of Democratic Forces, and Parvanov from the Bulgarian Socialist Party. "This move was a mistake. All countries from the Balkans have the same interests and those include EU integration," Zhelev, who was President from 1992 to 1997, said. He said Bulgaria that should oppose any attempt to falsify history coming from FYROM, but should also support its neighbour's EU bid. 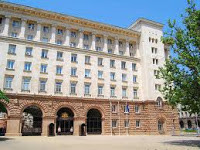 "Bulgaria must make special efforts to defend the rights of ethic Bulgarians in FYROM. But extreme decisions are never good," Stoyanov, President from 1997 to 2002, added. "This move was a mistake - and I'm saying it as one who has consistently led an uncompromising policy towards Skopje," Parvanov, who served two terms from 2002 to 2012, said. "With this decision Bulgarian politicians have punished ordinary FYROM's citizens, and not the handful of scribblers leading the anti-Bulgarian campaign there," he added. 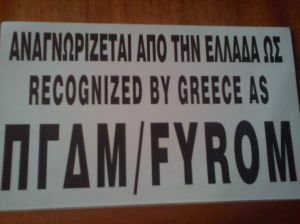 *[After the necessary corrections with the name "FYROM".